Red, White, & This Friday Night! NCW Red, White, & Bruised: The All-American Bash comes to Norwood Lodge of Elks this Friday night for what’s sure to be the hottest night of the summer. Tickets will be available at the door $10 for adults and $5 for all kids twelve and under. Doors open at 7pm with a 7:30 bell time, and you’re not going to want to be a minute late as Commissioner Dean “The Beast” Livsley has scheduled the opening match of Red, White, & Bruised to have a major IMPACT on the New England Title division in NCW when the new NCW New England Champion “The Juice” JT Dunn defends the Championship against the former champ Osirus in a rematch from Ring of Thrones. 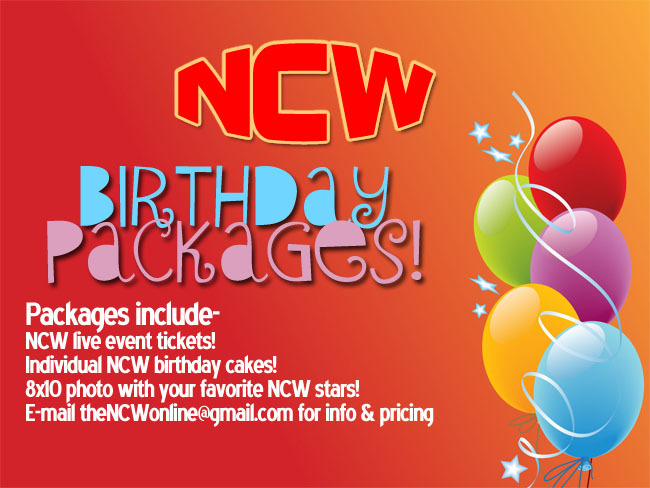 Press Release: Celebrate NCW the American Way July 22! NORWOOD— On Friday night July 22nd Northeast Championship Wrestling’s 2016 Season continues when we return to the Lodge of Elks in Norwood, Massachusetts (152 Winslow Avenue) for NCW Red, White, & Bruised: The All-American Bash! Doors open at 7pm with a 7:30pm bell time, tickets are available now online at http://theNCW.com/tickets and will be available at the door the night of the event $10 for adults and $5 for all kids twelve and under.